BOSTON, Massachusetts, USA — Tuesday, October 9th, 2012 — The Free Software Foundation (FSF) today awarded its first Respects Your Freedom (RYF) certification to the LulzBot AO-100 3D Printer sold by Aleph Objects, Inc. The RYF certification mark means that the product meets the FSF's standards in regard to users' freedom, control over the product, and privacy. 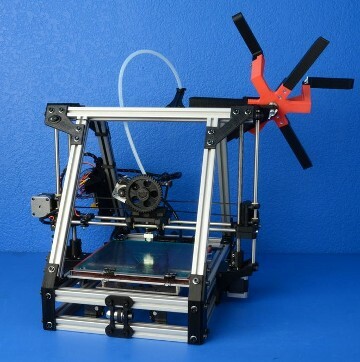 The LulzBot model AO-100 3D printer can be purchased from www.lulzbot.com. Aleph Objects, Inc. is honored to have the first hardware product with the FSF's Respects Your Freedom certification mark, and we're proud to sell a 3D printer that delivers freedom to each and every user. Aleph Objects, Inc. was founded with the idea that people should be free to use, learn from, and improve the machines they use, and to share their improvements and innovations with collaborative communities. The spirit and philosophy of the free software movement is embodied in our LulzBot 3D printer. All of our printers ship with hardware designs, software, and documentation all under free licenses. You get it all — source code, design documents, and specifications — everything needed to control, tinker, fix, and improve upon every aspect of the printer. — Jeff Moe, Founder of Aleph Objects, Inc. The FSF began work on a hardware certification program in October 2010 by publishing an initial set of criteria for certification, and subsequently inviting community members to help refine them. To be certified, a hardware product must meet several standards that ensure it runs free software, allows users to modify that software, supports free data formats, and is usable with free tools. The desire to own a computer or device and have full control over it, to know that you are not being spied on or tracked, to run any software you wish without asking permission, and to share with friends without worrying about Digital Restrictions Management (DRM) —these are the desires of millions of people who care about the future of technology and our society. Unfortunately, hardware manufacturers have until now relied on close cooperation with proprietary software companies that demanded control over their users. As citizens and their customers, we need to promote our desires for a new class of hardware — hardware that anyone can support because it respects your freedom. Conversations between the FSF and Aleph Objects, Inc., solidified the certification process and Respects Your Freedom mark design. Future certified products will display the same mark on their packaging and in associated marketing materials; the FSF will also promote certified products on its Web site at http://www.fsf.org/ryf. "Over the past 27 years the FSF has earned a reputation of being a strong advocate for computer user freedom, and we continually work to earn and keep the public's trust," states Joshua Gay, FSF licensing & compliance manager. "Because so many people have placed their trust in the FSF, a product displaying the Respects Your Freedom certification mark will be immediately recognized as a product that a user can trust when it comes to software freedom." 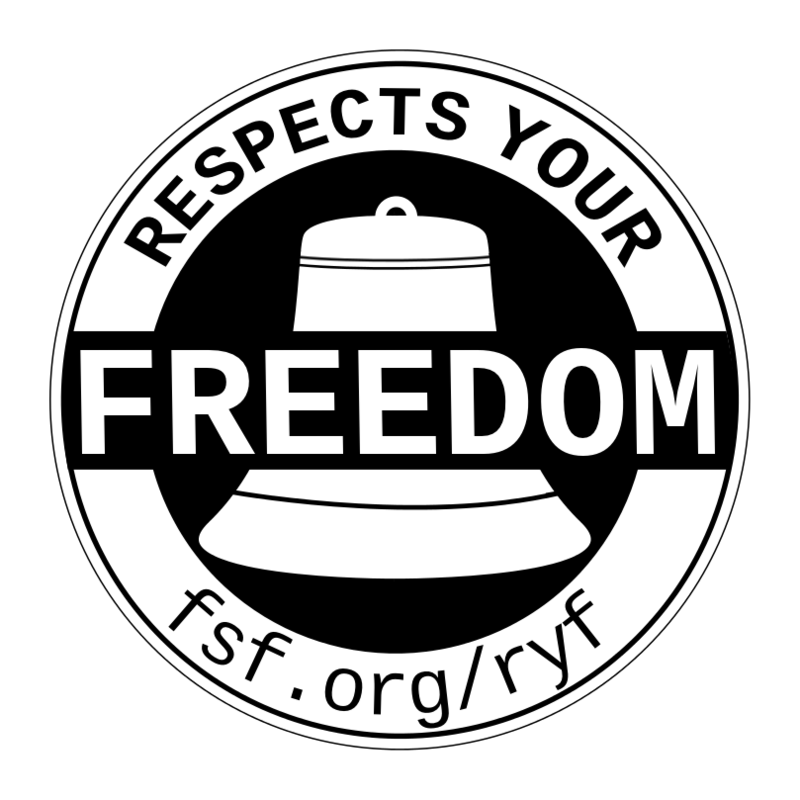 To learn more about the Respects Your Freedom hardware certification program visit http://www.fsf.org/ryf. Hardware sellers interested in applying for certification can consult http://www.fsf.org/resources/hw/endorsement/criteria. Aleph Objects, Inc. is a Loveland, Colorado, USA based company committed to free software and libre hardware. They are the makers of the LulzBot(tm) line of 3D printers and components available at their online store www.lulzbot.com. You can unsubscribe to this mailing-list by visiting the link http://crm.fsf.org/index.php?q=civicrm/mailing/unsubscribe&reset=1&jid=126528&qid=2674154&h=8a238011578a5381.